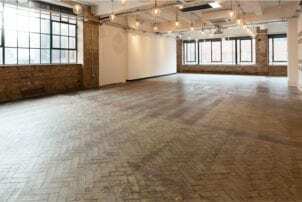 An inspiring and uniquely flexible blank canvas, our second floor event space can be adapted to cater for a diverse range of events. Whether you need an open plan area for an exhibition or product launch, an incredible location for a private party or a creative meeting space, we’d love to talk to you. Our unrivalled city centre location; close to the main shopping area, at the heart of Leeds’ renowned nightlife and with ample parking nearby, makes Lambert’s Yard perfect for almost every occasion. Our flexible event space is the perfect setting for exhibitions, screenings, workshops, talks, pop-ups, or indeed anything that requires a beautifully designed space in central, city centre location. Being at the heart of Leeds nightlife, Lambert’s Yard is the perfect place to hold your next party or celebration. We specialise in the unusual, the fantastic or the simply special and our beautiful event space can be adapted to suit any sort of celebration, from a stylish drinks reception to the perfect birthday bash. With our fully licenced bar, in house party planners and exceptional location, we take away the stress from planning the perfect occasion. There’s even a taxi rank across the road for when you have had enough, or a variety of night clubs and late night bars nearby, for the after party. Catered or un-catered, themed or un-themed, with entertainment or just a simple DJ, it’s your choice. We provide a full range of facilities as standard, from a fully licensed bar and state of the art audio visual equipment, to a dedicated event planner and a range of delicious catering menus; everything you need to make your special event happen.